UPL Ltd, Havells India Ltd, Info Edge (India) Ltd and Bajaj Electricals Ltd are among the other gainers in the BSE's 'A' group today, 23 July 2018. 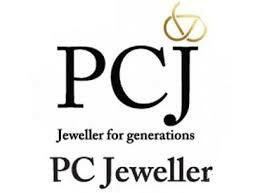 PC Jeweller Ltd spiked 10.32% to Rs 90.35 at 11:47 IST. The stock was the biggest gainer in the BSE's 'A' group. On the BSE, 43.43 lakh shares were traded on the counter so far as against the average daily volumes of 25.28 lakh shares in the past one month. UPL Ltd surged 8.73% to Rs 598.3. The stock was the second biggest gainer in 'A' group. On the BSE, 2.92 lakh shares were traded on the counter so far as against the average daily volumes of 1.52 lakh shares in the past one month. Havells India Ltd soared 8.68% to Rs 608.05. The stock was the third biggest gainer in 'A' group. On the BSE, 3.87 lakh shares were traded on the counter so far as against the average daily volumes of 1.33 lakh shares in the past one month.  Info Edge (India) Ltd gained 8.36% to Rs 1366.95. The stock was the fourth biggest gainer in 'A' group. On the BSE, 10355 shares were traded on the counter so far as against the average daily volumes of 6208 shares in the past one month. Bajaj Electricals Ltd rose 7.28% to Rs 583.15. The stock was the fifth biggest gainer in 'A' group. On the BSE, 64493 shares were traded on the counter so far as against the average daily volumes of 32473 shares in the past one month.